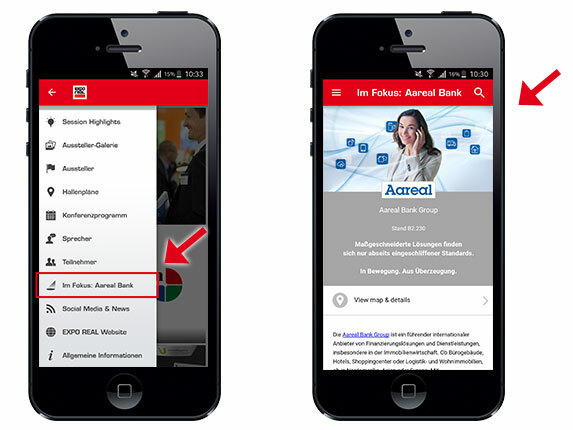 Your company in focus: Benefit from the potential of the new EXPO REAL app and advertise exclusively in the main menu under your own menu item. Reach out to all the users with your exclusive exhibitor page – before, during, and after EXPO REAL. 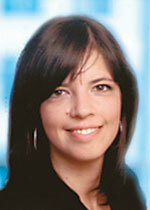 Your direct line to all the users of the EXPO REAL app. 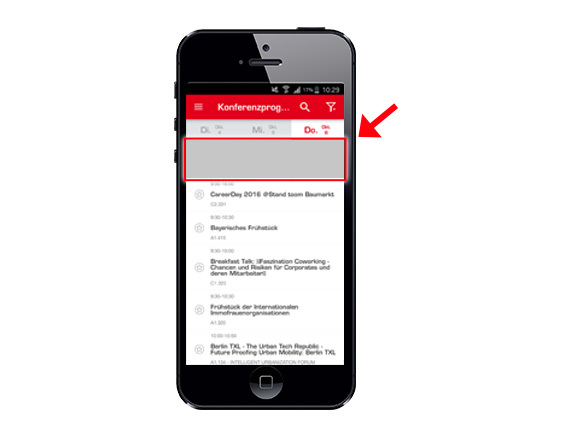 With push notifications you reach all the users of the app and call their attention to your booth. If you are having an event at your booth or would like to highlight a project, this is a great way to notify participants and get them talking about you. *The receipt of push notifications is subject to the individual user’s consent. 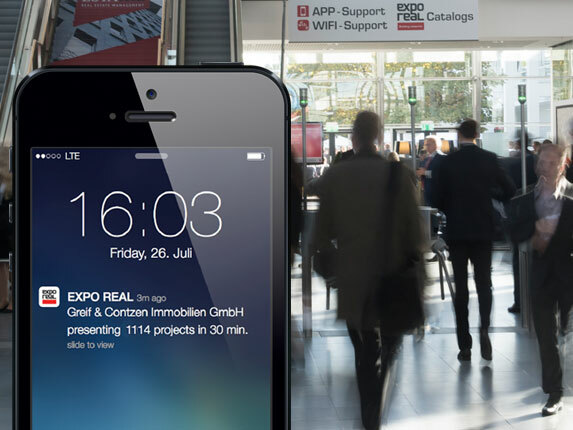 The EXPO REAL app allows access to all the important information about the fair, anywhere and at any time, and was downloaded by more than 50 % of the trade fair visitors. To awaken the interest of potential new business partners, you can book a banner in the conference program, with persuasive advertising copy, in the EXPO REAL app.